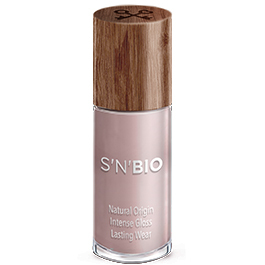 S’N’BIO is a plant-based nail polish with a NATURAL revolutionary formula. S’N’BIO is composed of certified 85% natural-origin ingredients such as potato, corn, wheat, manioc, sugarcane and cotton. It is the new generation of nail polish combining nature and quality at the finest outcome. 1 BUTYL ACETATE : got by esterification of acetic acid with butanol (fermentation of sugar cane residue or manioc). 2 ETHYL ACETATE : is obtained by the esterification of ethanol (from sugar cane) with acetic acid got by fermentation of the sugar cane. 3 NITROCELLULOSE : the one we use is biosourced at 80%. It is not possible to obtain a nitrocellulose with more biosourced matter. 4 ISOSORBIDE DICAPRYLATE/ CAPRATE : the biosourced plasticizer is produced from sorbitol, a glucose derivative, which comes from potatoes. This sorbitol is dehydrated to obtain isosorbide which is then esterified with vegetal fatty acids.